When bogged down by stress, an ESTJ often feels isolated from others. They feel as if they are misunderstood and undervalued, and that their efforts are taken for granted. Although normally the ESTJ is very verbal and doesn’t have any problem expressing themself, when under stress they have a hard time putting their feelings into words and communicating them to others. ESFPs have very strong inter-personal skills, and may find themselves in the role of the peacemaker frequently. Since they make decisions by using their personal values, they are usually very sympathetic and concerned for other people’s well-being. They’re usually quite generous and warm. They are very observant about other people, and seem to sense what is wrong with someone before others might, responding warmly with a solution to a practical need. They might not be the best advice-givers in the world, because they dislike theory and future-planning, but they are great for giving practical care. ESFPs are likely to be very practical, although they hate structure and routine. They like to “go with the flow”, trusting in their ability to improvise in any situation presented to them. They learn best with “hands-on” experience, rather than by studying a book. They’re uncomfortable with theory. 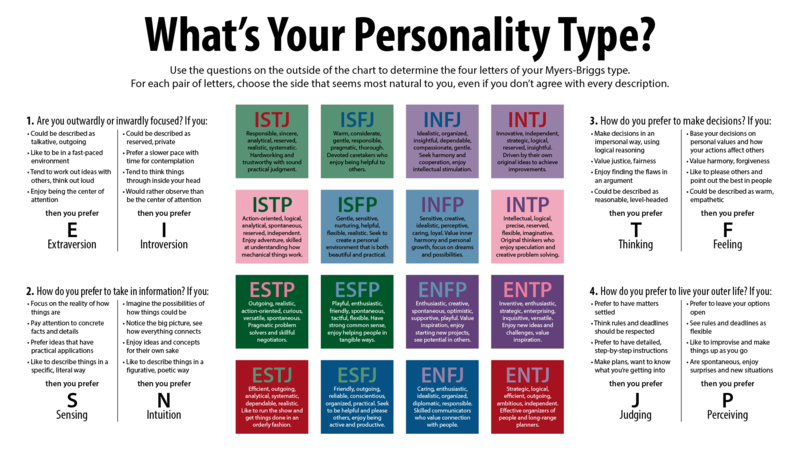 If an ESFP hasn’t developed their intuitive side, they may tend to avoid situations which involve a lot of theoretical thinking, or which are complex and ambiguous. For this reason, an ESFP may have difficulty in school. On the other hand, the ESFP does extremely well in situations where they’re allowed to learn by interacting with others, or in which they “learn by doing”. ESFPs have a very well-developed appreciation for aesthetic beauty, and an excellent sense of space and function. If they have the means, they’re likely to have to have many beautiful possessions, and an artfully furnished home. In general, they take great pleasure in objects of aesthetic beauty. They’re likely to have a strong appreciation for the finer things in life, such as good food and good wine. ESFPs usually like to feel strongly bonded with other people, and have a connection with animals and small children that is not found in most other types. They’re likely to have a strong appreciation for the beauties of nature as well.